In most cases, the days of setting up a healthcare practice and being flooded with patients are gone. In the current competitive climate, people typically have ample access to doctors, clinics and hospitals in their area. Thus, a high quality healthcare marketing strategy is vital to distinguish your practice from others in this competitive sector. The following is a look at several strategies that contribute to your ability to differentiate your healthcare organization from others. The majority of healthcare searches begin online. People want to research information, solutions and providers before making contact. Thus, your practice needs to offer easy, convenient access to as much information and as many resources as possible. Your website, blog, app and social media channels are among popular platforms to share these resources with prospects. Use them to help people reconcile what they are feeling with possible remedies, and indicate why your practice is an expert at resolving or managing particular conditions. With established patients, the more access you can give to health history information and convenient services, the better. Some health networks and practices now give their patients online access to such things as full health histories, the ability to submit questions to providers and prescription refill requests. People want health providers that genuinely care about helping them feel better. The challenge is convincing people that you do before their first visit. First, establish that you know what you are doing by including thought leadership in your marketing strategy. Create blogs and social media posts that give insights into your awareness of current best practices in your sector. Discuss what your practice does to meet patient needs in the current environment. Happy patients are your best brand ambassadors. Until people experience your practice for the first time, there are doubts as to what you can do. Your patients are more trusted by prospects than you are in the beginning. Therefore, you want to optimize the patient experience and then leverage the positive emotions people feel to persuade others to give you a shot. 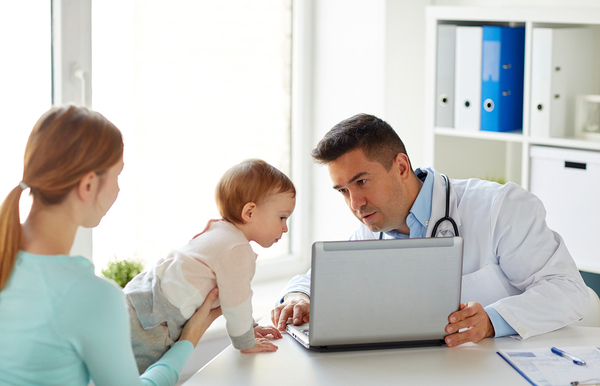 The patient experience encompasses the steps involved in researching your practice and finding resources, scheduling an initial visit, and engaging your care team in diagnosing and treating issues. You can’t afford problems and frustrations with any of these if you want valuable ambassadors. When you deliver a great experience, you will likely find patients who are willing to spread the good news via social media and blog posts. Invite people to share their stories on your blog or on social media channels. Even when you pay close attention to HIPAA compliance, there are effective ways to drive influencer content and patient reviews to earn trust from prospects. To differentiate your healthcare business, you need a strategy that relies on best practices to get your messages to targeted prospects through the channels they use for health information. Developing and managing expertise in this area is tough for a typical healthcare practice. Thus, expert support is crucial! Response Mine Health specializes in healthcare marketing and can help you attract and retain your best patients; contact us today so we can get to know your organization and learn how we can help you grow.